The basic foundation of success starts from the very seeds of identifying and defining goals. The right goals with the most apt foundations grow into big ideas which thrive and turn into successful outcomes. This workshop helps catalyze the understanding and defining of goals. It aims to speed up the process of differentiating actual goals from perceived goals. Once defined, it stretches to initiate the activity of laying down blocks of concrete realities. In a formidable yet acceptable manner, it shows you how to programme the mind to convert undefined desired goals into smart distinct ones. Hone your creative skills and see yourself living life the way you want to. Group work strengthens the intentions and magnifies the power of intent manifold. It also allays the fear of failure and inculcates a feeling of self worth and belonging. This is also done as an individual , one –to-one workshop. Learn to convert your desires into goals and manifest goals into your reality. Make individuals recognize the capability they have of setting up realistic goals in professional or personal life. Make individuals recognize the possibility of achieving set up goals successfully within time frames. Enhance overall performance in all business ventures. Increase ability to ideate, conceptualize and deliver future goals taking goal planning to the next level. Troubleshoot issues that prevent proper goal planning. Lead towards living and overall fulfilling life. Get in touch with your inner self. A practical approach to face and deal with one’s reality. Things are actually seen and recognized for what they are and not what you think has been all the while. Out of the box approaches are utilized to change the pattern and manner of thinking. Ways to develop and create and understand how anyone can climb up the ladder and reach their goals at the professional level. How people can improve relationships by being in touch with themselves and finding new meaning to their lives. Once can expect a decrease in the level of fear felt, resentment and trepidation to become super confident. Confidence helps to turn entire strategies and create new pathways not present before. Pathways that differentiate between actual goals and desires and not mix the two. The ability to segregate, recognize and chase the right intent leads to success and ideal performance. Specifically created and developed personal blue print and plan that assists in formulation of realistic and achievable goals. This self made plan would be the first stepping stone to the road to success. A self made plan with clarity and intent will speeden up the process of goal achievement. The art of reverse engineering i.e; reform and reformat desires and goals. Experience breakdown of previous barriers, ideas and concepts to give birth to new goals and desires. These are achievable, doable and positively result oriented. A bank of visualization techniques that assist in alleviating anxiety and stress and lead to positive and focused thinking. The visualization techniques work at a deeper level of the mind, making the mind more attuned to everything that is positive and goal oriented. These visualization techniques would also be effective in recognizing areas of concern and how to deal with them. A Reduction or overall stress leading to goal achievement in a relaxed and distressed environment. Achieving one’s goals comfortably and with minimum stress encourages motivation and incentive to perform better overall. This leads to increase in work output and performance as well. Heightened level of trust and confidence in oneself. Increase in self worth and belief in achieving set targets makes a difference between the determined and the casual. This change in self worth will optimize level of performance and build up character. Recognize true qualities of identifying team spirit and enhancing ability to optimize self and team’s performance. 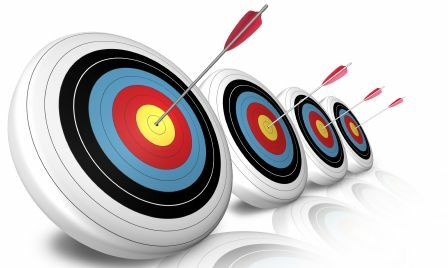 Development in a more capable and efficient team leader achieving set targets and goals. A winner in all aspects of life. When productivity and work output increases double fold in a positive manner, the butterfly effect is experienced in all other walks of life. This leads to overall change in lifestyle and personal relationships as well. Every individual desiring to progess. Staff and personnel from all departments will benefit vastly from this programme. This programme is specially designed to work at all levels of hierarchy and anyone and everyone is eligible to enroll for this programme. Housewives,students, retired people all can benefit from this programme as all can find their inner calling. This programme is divided into 6 sessions. Each session is one of 1 hour. The programme has to be completed within a span of 8 weeks.